The Massachusetts House continues to work on Beacon Hill this week on amendments to the chamber’s spending plan for the Commonwealth of Massachusetts in fiscal year 2020. 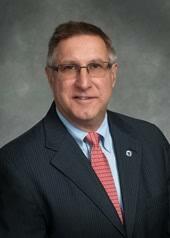 The Chair of Massachusetts Senate’s Committee on Ways and Means, Mike Rodrigues, explained to WSAR the democratic process of compiling this budget and briefly walked through the amount of hands the budget will go through before its conclusion this Summer. 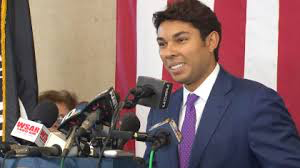 But, with the next part of the process Rodrigues explained that the Massachusetts House and Senate can then overturn vetoes if they wish. He told WSAR that this is what makes the democratic process so great. “In the legislature, we have the option and the ability to override a veto if we choose,” the Ways and Means Chair stated. “That’s how the democratic process works. It is what is so comforting about working in Massachusetts - you don’t see any heated, angry partisan rhetoric being spewed by either democrats or republicans, though, the media tries to stir things up once in awhile. We can agree to disagree across the aisle. It’s a great process and works well here in Massachusetts." The conference committee is selected every Spring and spends each Summer locked away producing a final version of the budget that will go to both chambers with no amendments for an up or down vote. SOMERSET – The Massachusetts Department of Transportation (MassDOT) has announced that it will be implementing temporary brief traffic control operations on major roadways near the Brayton Point Power Plant on Sunday, March 24, beginning at 8:00 a.m.
Travel on the Braga Bridge and Veteran’s Memorial Bridge will be stopped and there will be a rolling roadblock on portions of I-195 westbound and Route 79 southbound due to the scheduled demolition of chimneys on Sunday at the Brayton Point Power Plant. The traffic control operations will be used to limit the traffic on I-195 on the Braga Bridge, and to open the draw span on the Veteran’s Memorial Bridge to help stop traffic in this area. Drivers traveling through the affected areas should expect delays, reduce speed, and use caution. All scheduled work is weather dependent and/or may be impacted due to an emergency situation. At a Swansea School Committee session this week, the Superintendent of Public Schools John Robidoux explained to the various members the district’s issue at the moment with a negative balance in the lunch program. The issue seems to be cause in most part due a lack of transferring of funds into student accounts that are used for school lunches or not getting in the necessary paperwork for free or reduced lunches. Robidoux told the committee those utilizing a free or reduced lunch program need to submit that paperwork annually - it is not carried over from the previous school year. The district is continuing to promote the “My School Bucks” Initiative where accounts can be replenished digitally and will notify you of waning balances or anything else of note. Robidoux planned to meet with the various principals of the district to try and find an equitable solution to this issue as the school year winds down to a close. 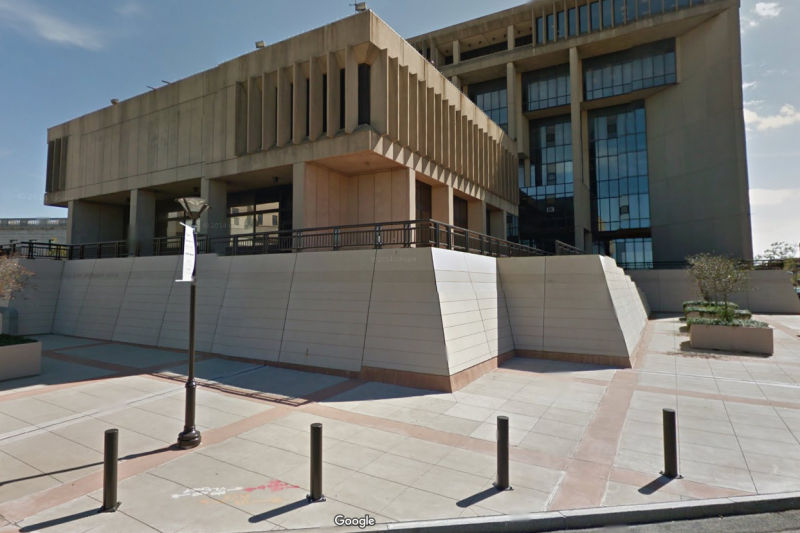 A Fall River City Council session began just before 6pm Tuesday night and featured a pair of public hearings at the top of the meeting just before the committee on finance began. The two proposals had to do with dog kennels and wind energy. Fall River Planning Director William Roth explained a new kennel regulation he authored last night during the first hearing in Government Center Council Chambers regarding an update on the policy and tweaking current city ordinances to comply with Commonwealth Law. The planning director said the new language would kill two birds with one stone. The second public hearing featured a proposal from Roth regarding a wind energy corridor at portions of the Fall River Waterfront. 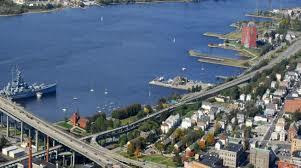 Fall River has the capability of adding various support services as part of a marine economy, according to the city’s planning director. 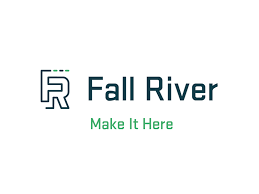 The Fall River planning board will also have a role to play as well as council as both of these proposals will continue through their process in Spring and the Summer. There is a prospective, anonymous buyer who has come forward in hopes of acquiring and creating a new plan for the Swansea Mall property. The buyer is a New England-based regional real estate developer with expertise in repositioning large distressed assets who has access to significant capital and a comprehensive redevelopment plan for the property. The buyer is seeking a public-private partnership through a Swansea Redevelopment Authority in which Swansea Selectmen member Chris Carreiro proposed in a presentation at a meeting in January. 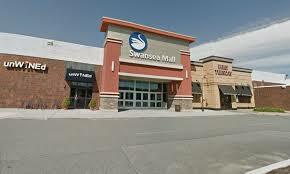 “It is critically important that the citizens of Swansea support the creation of a Swansea Redevelopment Authority at the Annual Town Meeting on May 20th so that the Town can be active participants in the redevelopment of the Swansea Mall Property," Carreiro said. "The town must be in the driver's seat to fix this complicated economic development problem." The attorney representing the prospective buyer, Attorney George McLaughlin, III of The McLaughlin, Brothers, P.C., explained at last night’s Board of Selectmen’s meeting that his client is “all in” on this acquisition is contingent upon the creation of a Redevelopment Authority. He told the trio of members this is a condition because his client wants assistance in navigating roadblocks and intricacies with the current restrictions set by Walmart. The prospective buyer will look to include but not limit the space to a large supermarket, retail establishments, entertainment options, medical facilities, offices, housing and a national state of the art self storage provider. 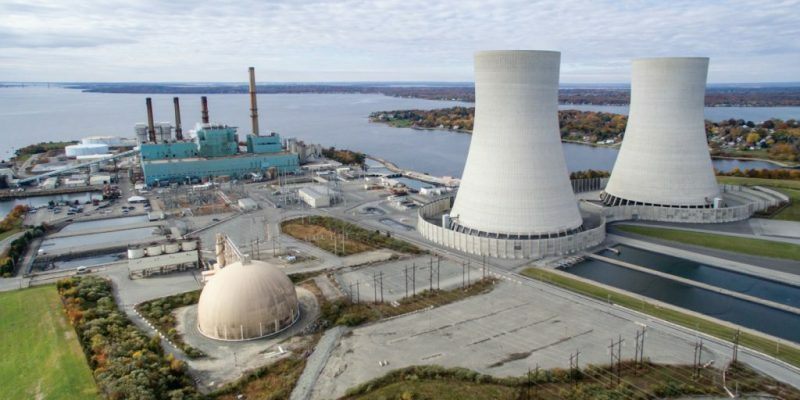 This upcoming Saturday the Somerset Skyline will have a new look after 8 a.m when the Brayton Point Cooling Towers are imploded. Preparations include road closures and road blocks on the morning leading up to the event and some time following. Owners of Saint Louis Based firm who own the decommissioned site will be in the town this week to help with those preparations. Several weeks ago a trio of chimneys were imploded in the same fashion but had to be pushed 24 hours ahead from Saturday to Sunday because of weather concerns. It’s hoped wind will not be a factor come Saturday. Following the implosion portions of the remnants will be repurposed and recycled for future uses. “They’ll reuse the rubble and make great use out of it,” MacNamara told WSAR. Once the dust settles following the implosion, the remaining ashes of the site will be removed in a matter of hours in much the way as the chimney trio last month. 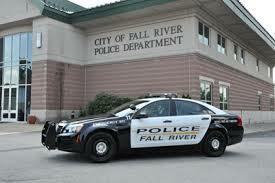 The Fall River City Council will being their regular session Tuesday night just before 6:00 p.m. The agenda includes public hearings on zoning regarding kennels and a proposed wind energy corridor. A finance committee session will also discuss an inter municipal agreement with Westport in regards to waste water services. The nine member council will also discuss with the city administrator directors of community maintenance and facilities. Discussions will include the electrical needs at the gates of the city and how it could be made easier for vendors and others to have electricity conveniently available. It’s likely council will also send a loan order for $7.4 million to future finance sessions for repairs to the Watson Elementary School. The MSBA Accelerated Repairs Program will reimburse the city for at least $4.1 million of that number. 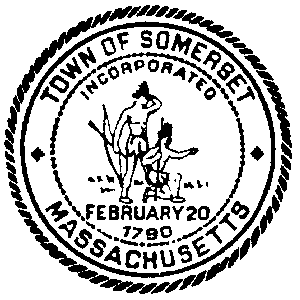 The town of Somerset is hosting a public meeting on Thursday May 2nd at the Somerset Berkley Regional High School Cafeteria between the hours of 6:00 p.m and 8:00 p.m.
• What is an Economic Development Plan? • What are Somerset’s greatest economic needs? • Which areas within Somerset present the best opportunities? • How can Somerset take steps to implement its economic development goals? For more information or if you require special accommodations or translation services, contact Nancy Durfee, Somerset Town Planner at ndurfee@town.somerset.ma.us or (508) 646-2809. 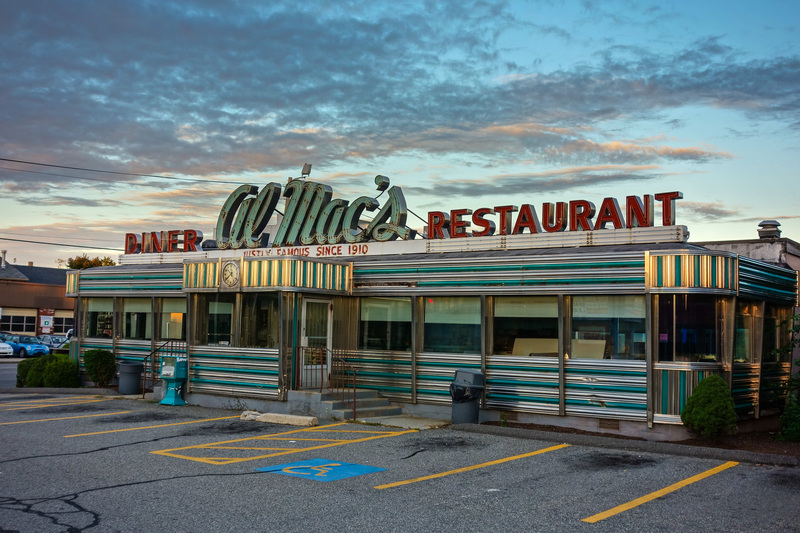 It’s official - Al Mac’s will remain in Fall River. City Council President Cliff Ponte and his family have purchased the business and are already at work remodeling and reviving the Fall River staple. Ponte told WSAR he immediately went down to the diner in person a few weekends ago when he heard the news of the restaurant planning to close their doors for good. Ponte will not be running the restaurant, that will be his Dad’s new endeavor who he says has a ton of experience. The council president said a genuine connection and relationship with the Dunse family made negotiations an easy process. Ponte said he and his family recognized the impact this diner has had on not only the local community but those outside of it who hear word of mouth about the city’s landmark. Administrators with the Department of Community Maintenance in Fall River's Government Center are indicating that due to the construction required in the intersection of Middle Street and Broadway in Fall River, closures in that area need to be extended for a one week period. Its now expected that the intersection be re opened by April 26. 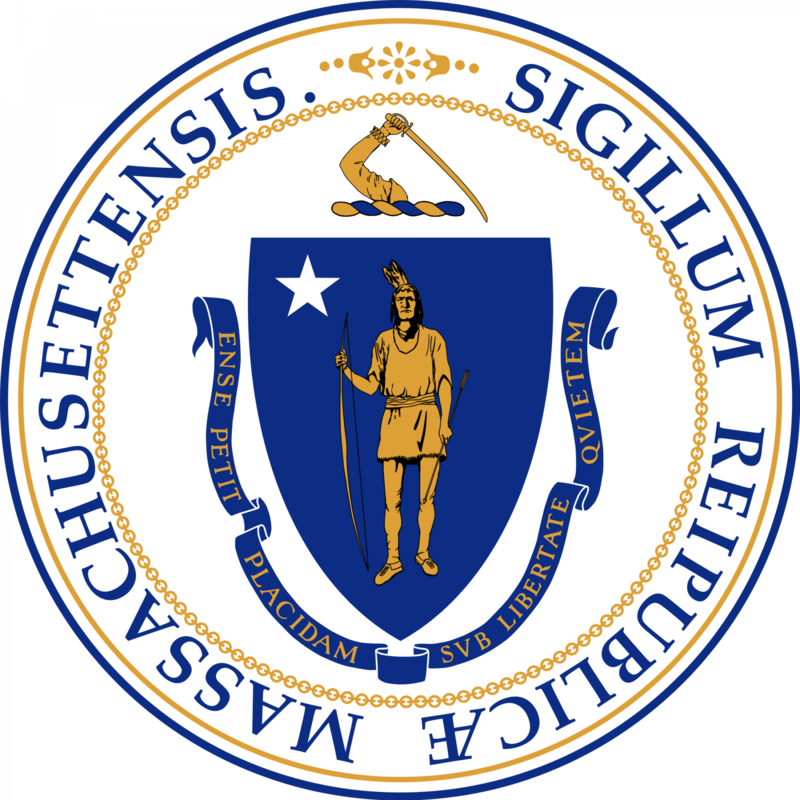 The Commonwealth's Bureau of Labor and Workforce Development is reporting that the Massachusetts Unemployment Rate remains unchanged at an even 3%. The Bureau of Labor Statistics indicated that preliminary job estimates have the Commonwealth adding 4,100 jobs in March. While Unemployment in Massachusetts is at an even 3%, the national rate sits at 3.8%. Labor and Workforce Development Secretary Rosalin Acosta says key sectors such as health services and professional services continue to add jobs. Police in Fairhaven have posted on their official Facebook Page that ''there is likely a potent batch of heroin or fentanyl mixed substances in this community right now''. Police in Fairhaven have noted that ''there were several overdoses reported in our neighboring city'', after three people were reported to have died from overdoses on Thursday in New Bedford. Police in Fairhaven are suggesting that users not be alone and that Narcan is nearby. Would You Be In Favor Of A Flavored Vaping Product Ban? Massachusetts Attorney General Maura Healey is preparing to ban flavored vaping products and ask for a tax on all e-cigarettes. This is according to State House News Services. Leadership in the House on Beacon Hill has indicated they need more time to consider measures on taxing electronic smoking or items or curb vaping by teenagers in the Commonwealth. WSAR was able to talk to a couple of state representatives in regards to this topic including Bristol Sixth District State Rep Carole Fiola and Bristol Eighth District State Rep Paul Schmid. Attorney General Healey has began to investigate the company Juul, the largest vaping company in the country. She is curious to see if the company is tracks under-age use of their primary products. 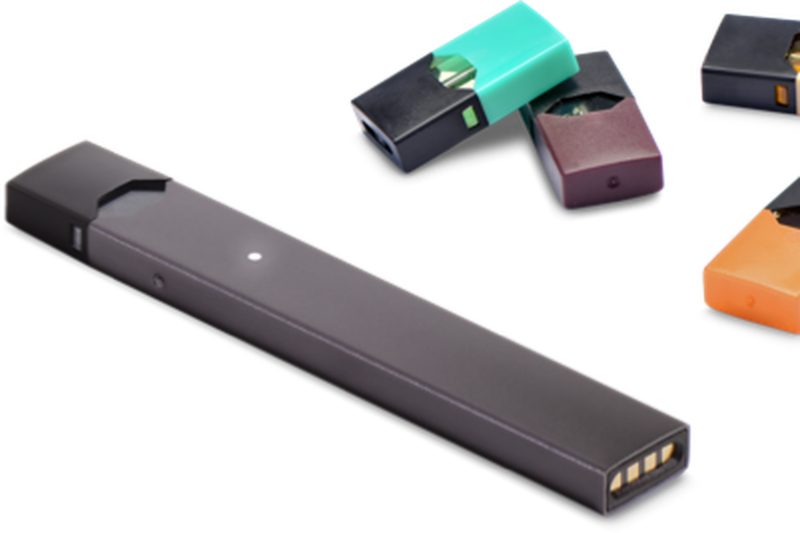 The parent company of Marlboro owns a 35% stake in Juul worth nearly $13 billion. Massachusetts Governor Charlie Baker is looking to raise $6 million in new revenue by adding a tax to e-cigarettes and applying a 40% excise tax on all wholesale vaping products, thought, the House did not include it in their budget. “You’re getting a lot of nicotine with each breath,” he warned. FOXBOROUGH, Mass. - The National Football League tonight announced the 2019 regular-season schedule and the New England Patriots will begin the defense of their Super Bowl LIII Championship when they host the Pittsburgh Steelers in primetime on Sunday Night Football on Sept. 8. It will be the fourth time the Patriots will open the season against Pittsburgh and the third time they will open against the Steelers as defending Super Bowl champions. The Patriots hosted Pittsburgh in 2002 and 2015 following their Super Bowl XXXVI and Super Bowl XLIX titles. Both games resulted in New England victories. The Patriots will play in a total of five nationally-televised games and are scheduled to be featured in the marquee matchup in four games that will air at the end of a double-header with kickoffs scheduled at 4:25 p.m. ET. The Patriots are scheduled to play a stretch of eight consecutive games that will either be played in primetime or at 4:25 p.m. ET. Two of the five nationally televised games will be played at Gillette Stadium. The Patriots will play three primetime games in 24 days. After the Sunday Night Football opener against Pittsburgh, the Patriots will have back-to-back primetime games, starting with a Thursday Night game vs. the New York Giants on Oct. 10. The team will then travel to face the New York Jets 11 days later on Monday Night Football on Oct. 21 at MetLife Stadium. It will be the third time in Patriots history that the team will face the New York teams in consecutive weeks. In 1990, the Patriots closed out the season with games at the Jets (12/23/90) and home against the Giants (12/30/90). In 2011, the Patriots hosted the Giants (11/6/11) and then traveled to face the Jets (11/13/11). After hosting the Cleveland Browns in a 4:25 p.m. game on Oct. 27, the Patriots will travel to Baltimore on Nov. 3 for a Sunday night matchup against the Ravens. The final scheduled primetime game will be Dec. 1 for a Sunday night game at the Houston Texans and the last scheduled 4:25 p.m. kickoff start will be a rematch of the 2018 AFC Championship Game when the Patriots host the Kansas City Chiefs on Dec. 8. The Patriots and Texans will play for the fifth straight year in the regular season and for the sixth time overall, with New England holding a 5-0 edge in those meetings. In 2016, the teams met in the regular season and playoffs. The Patriots will play against the Chiefs in the regular season for the third straight year. In 2018, the Patriots and Chiefs met twice – a 43-40 victory at Gillette Stadium on Oct. 14 and a 37-31 overtime win at Kansas City in the AFC Championship Game that sent New England to its third straight Super Bowl. After opening against Pittsburgh, the Patriots will jump straight into AFC East play when they travel to play the Miami Dolphins on Sept. 15, followed by a home contest against the New York Jets on Sept. 22 and a road game at the Buffalo Bills on Sept. 29. New England is scheduled to play three consecutive division foes within the first four weeks of the season for the third time in the Bill Belichick era, with previous occurrences in 2001 and 2010. New England will enjoy the bye week in Week 10 following a Sunday night game in Baltimore against the Ravens. The Patriots will have a November bye week for the seventh time in eight seasons. The Patriots will play two NFC East teams coming out of the bye with a Nov. 17 game at the Philadelphia Eagles followed by a Nov. 24 tilt at home against the Dallas Cowboys. For the third straight season, the Patriots will close out the regular season with two home games against AFC East foes, vs. Buffalo and vs. Miami on Dec. 29. The Buffalo game will be played on either Saturday, Dec. 21 or Sunday, Dec. 22. The Patriots own the best divisional record in regular-season play with an 86-24 record since 2001 and have gone 18 straight seasons without being swept by a division opponent, the longest such streak in the NFL since 1970. In addition to playing each AFC East opponent twice, the Patriots will play one game against each of the AFC North and NFC East teams. As the 2018 AFC East division winners, the Patriots will play the first-place team of the AFC West (Kansas City) and AFC South (Houston). On April 16th, 2019 at 6:15 P.M, Detectives of the Fall River Police Departments Vice and Intelligence Unit went to 904 Middle Street to execute a search warrant. The target of the search warrant was 3rd-floor resident Hector F. Marquez Jr. age 35. Lead Detective Joshua Robillard was assisted by Detectives Kwin Silva, Richard Aguiar, Bryan Custadio, Tryce Grant and Sergeant William Falandys. When Detectives knocked and announced their presence, a male responded but did not open the door. Detectives breached the door to gain entry finding Hector F. Marquez Jr. inside the apartment. Prior to the search, Marquez voluntarily produced two baggies of suspected cocaine from his bedroom weighing 2.2 and 2.6 grams respectively. Detectives commenced with their search and located 25 rounds of 9mm ammunition, a plastic storage bag with approximately 172 grams of suspected cocaine and a plastic bag with approximately 15.2 grams of crack cocaine in a storage room. 22 - 12 gauge shotgun rounds were found in the living room. In all, approximately 192 grams of suspected cocaine was seized. How many legal cannabis shops is too much in Fall River? How many cannabis dispensaries are too many for the city of Fall River? 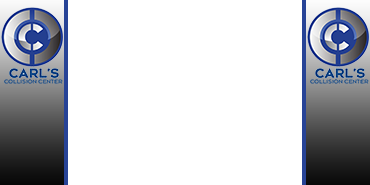 This came following a submitted resolution from Pelletier seeking to cap off the number of legal cannabis dispensaries in Fall River to the number '8.' Mayor Jasiel Correia II and his administration has already agreed to 11 letters of non-opposition. The Massachusetts Cannabis Control Commission has only awarded a handful of licenses, however, in the state. “It doesn’t have to go through the voters, it can go through ordinances. I just think eight is enough,” Pelletier explained. The resolution was approved by an 8-1 margin at that same recent city council session and will move on to a future ordinance and legislation committee later on this Spring. 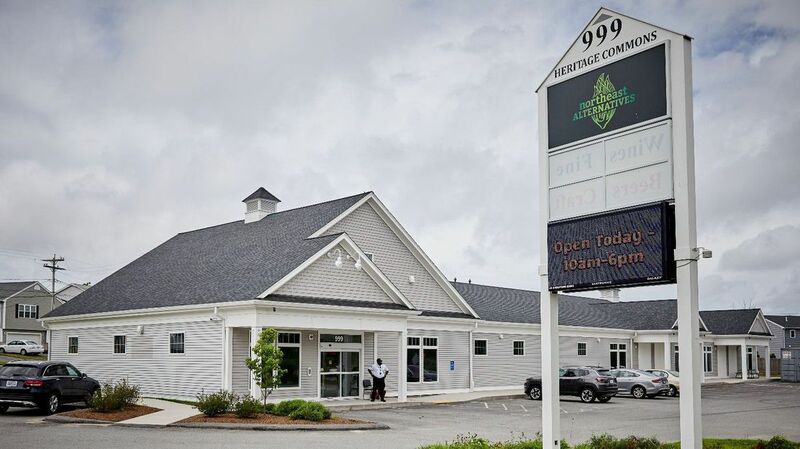 The Fall River Herald News reported the first contributions from a 3% host fee of various cannabis dispensaries are beginning to arrive, just in time for the fiscal year 2020 budget. The sixth floor is hoping to pay for various line items in future municipal budgets from legal cannabis revenue as well as digital billboards and indoor advertising in government center. Northeast Alternatives reported $3 million in sales with Fall River getting nearly $88,000 of it on top of $75,000 already paid in fees. The second licensed dispensary, Hope Heal Health has also paid its fees while four other establishments await the green light from the Commonwealth’s Cannabis Control Commision. In coordination with the Massachusetts State Police, The Somerset Police Department, The Somerset Fire Department, The Swansea Fire Department, Massachusetts D.O.T, Northeast Traffic Control Services, Commercial Development Co., and Brayton Point LLC., The Swansea Police Department will be assisting with the traffic modification plan in the morning hours on April 27, 2019 during the implosion of the former Brayton Point Cooling Towers located at Brayton Point in Somerset, MA. 1. Route 195 East on ramps will be closed. 2. Route 103 will be closed at Gardner’s Neck road to east bound traffic and all traffic diverted north to route 6. 3. New Gardner’s Neck road will be closed to all non residents. 4. Pinehurst Ave at Anthony Ave will be closed to all non-residents. 5. Gardner’s Neck road will be closed at Ocean Grove Ave and Sawyer Ave for all non-residents. 6. Gardner’s Neck Road at Church St will be closed and all residents must show identification to pass after the road closure is enacted. On street parking in the posted area will not be permitted and any vehicles parked will be tagged and towed if necessary, this is to allow Fire Apparatus and EMS Vehicles that may have to respond to any emergencies in the neighborhoods, to do so safely and quickly. The road closures are currently planned to take place approximately one and one half hours prior to the implosions. They will last only as long as it takes to restore the normal traffic patterns and ensure public safety after the implosions are complete. Thank you for your cooperation and assisting us in ensuring your safety. Please see the Brayton Point LLC.’s FAQ sheet for more information. Work on the Cress Brook Drainage Project begins in New Boston Road this coming Monday Morning. The construction will be on New Boston Road between Phillips Street and North Eastern Avenue, with road closures as construction requires. Work is expected to be completed by May 10. Due to weather and the nature of underground construction schedules could be adjusted and message boards will be in the area if updates are necessary. 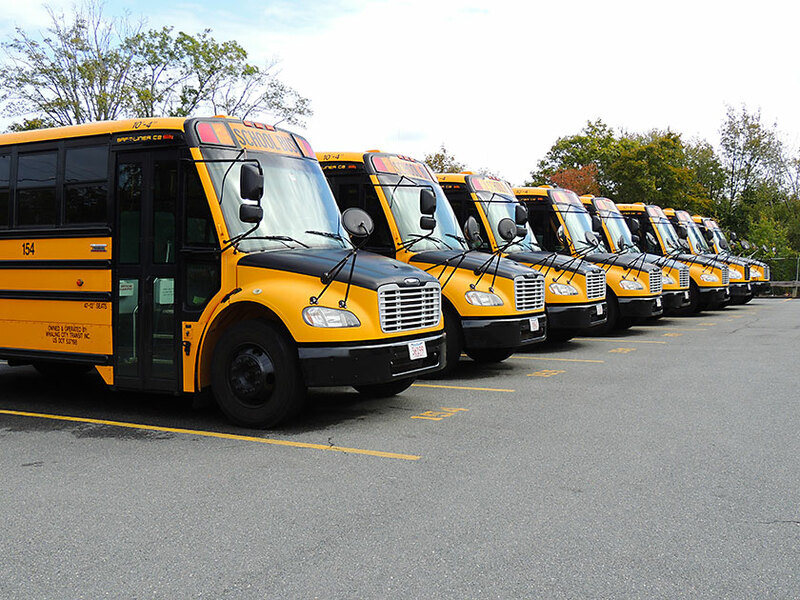 In the ongoing debate over how much funding the city of Fall River will provide to the public school system in terms of school transportation for fiscal year 2020, the idea of bus tiering has been tossed around. Currently, the placeholder number for transportation line items in the Fall River Public School System is 11.9 million - roughly 2 million dollars more than expected. 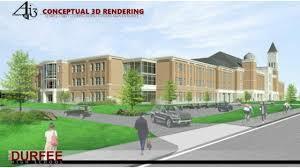 This is just one concept being discussed in the wake of last weeks mandated joint-session of both the city council and school committee when it was revealed that as of now, the debt exclusion for the new B.M.C Durfee High School will begin in fiscal year 2020, not 2023 as originally proposed. That number is being discussed as a placeholder for now but could become part of the 2020 fiscal budget if the transportation line item number remains. “We’re transporting about half the population of Fall River public school students between our own and the S.R.T.A buses,” Pacheco said. Suggestions have risen in the last week of starting this bidding process over again to negotiate to a better number. Tens of thousands Stop and Shop employees were back on a picket line Monday morning and will continue today into the fifth day of striking against the grocery store company. At a rally yesterday at the Fall River Stop and Shop Location off Mariano Bishop Boulevard, nearly one hundred people and employees gathered with elected officials. 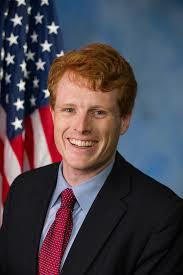 Kennedy continued to remind the people of Fall River this isn’t just a local problem but one being fought everywhere with working people against big corporations. Congressman Bill Keating also appeared at the Patriot’s Day rally in front of the Stop and Shop entrance off Canning Boulevard. He’s been making the rounds over the last handful of days in his travels to see how the stores have handled business without their employees. The congressman said there was barely any business to handle. One of the Stop and Shop workers striking, a leader at the store in Somerset had no shame telling the crowd she made less than $21.00 an hour after nearly twenty-one years of service to the company and scoffed at the offer of a fifty cent raise. Domenic Pontarelli, the treasurer/secretary of UFCW Local 328 said the two sides are not close to reaching a deal. A Bristol-Norfolk state senator Paul Fenney, with ties to both Fall River and the world of unions drove down from Quincy to make an appearance and fire up the disgruntled union workers.